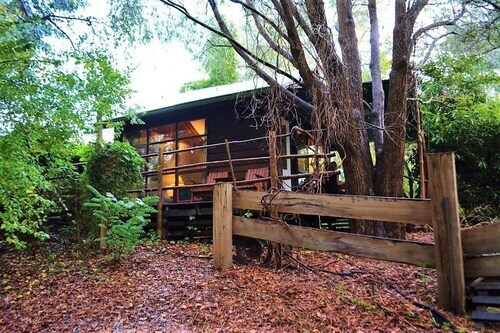 Situated in a rural location, this cabin is within 1 mi (2 km) of Nannup Arboretum and Marinko Tomas Bicentennial Park. Jarrahwood State Forest is 1.4 mi (2.3 km) away. Situated in Nannup, this guesthouse is within 1 mi (2 km) of Nannup Arboretum and Marinko Tomas Bicentennial Park. Jarrahwood State Forest is 1.3 mi (2.2 km) away. 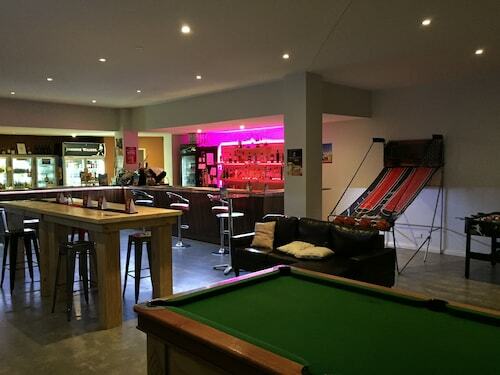 Situated in Manjimup, this motel is within a 10-minute walk of Timber Museum, Forest Visitor Center, and Manjimup Timber and Heritage Park. Manjimup Country Club Golf Course is 1.5 mi (2.4 km) away. Situated in Manjimup, this motel is within 2 mi (3 km) of Manjimup Timber and Heritage Park, Timber Museum, and Forest Visitor Center. Manjimup Country Club Golf Course is 2.6 mi (4.2 km) away. Visit the scenic WA town of Nannup, "The Garden Village", and unwind in the peaceful atmosphere. 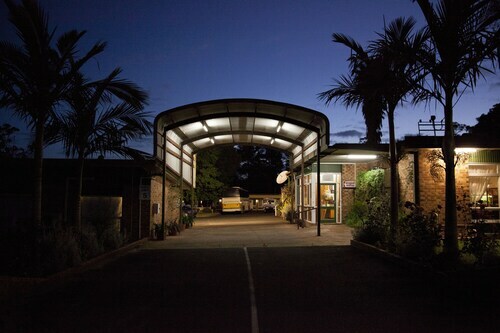 The area is surrounded by hills and forests with the Blackwood River nearby, so you'll have no trouble relaxing in one of our Nannup hotels. As we mentioned, Nannup is surrounded by forests, but few towns can boast about being nestled between quite as many forests as this one. There's Nannup State Forest, Cambray State Forest, Millbrook State Forest, Ellis Creek State Forest and Jarrahwood State Forest. With all those forests, it's little surprise that timber has always been the town's main industry. So while you're here, make sure that you take some time to admire the beautiful timber architecture and drop by some of the local timber artisans' workshops. The beautiful forests of the Nannup region are beginning to attract more than just timber millers, though. These days, nature-loving tourists also flock to see the wooded areas, and you should too! Of course, there are a number of bush walking trails within all of the forests, but Jarrahwood State Forest is particularly popular because you can canoe down the Blackwood River, right in the middle of the forest! Another drawcard to the Jarrahwood Forest is the fact that, in spring, innumerable wild flowers can be seen in bloom, even from the roadside! Between July and September you can also see tulips in bloom around the town, as tulip growing is becoming a notable industry in Nannup. There's also the annual Nannup Flower and Garden Festival in mid August, as well as the Festival of Country Gardens, held in the first weeks of May and November. 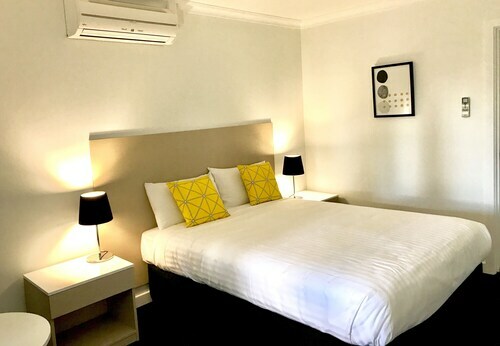 Perth Airport is about three hours from Nannup, and you'll find that hiring a car is the best way to get around this sleepy town. Once you've got your wheels, you'll be able to take the 45km drive to Bridgetown or the two-hour trip to the Margaret River. Of course, while you're there, you'll probably be inclined to sample a drop or two of the region's finest vintage. If you're driving, make sure you have a designated driver, though. 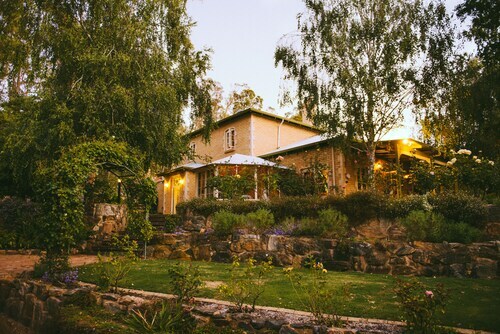 Or, you could spend a night in one of our Margaret River Wine Region hotels. So wot are you waiting for? Grab one of these cheap flights to Perth and book your Nannup accommodation with us today! How Much is a Hotel Room in Nannup? Hotels in Nannup start at AU$73 per night. Prices and availability subject to change. Additional terms may apply.